Andrew Gomez’s awe-inspiring photo warmed our hearts as it did his iPad! Andrew has won the Grand Prize consisting of a $500 donation to the Japan Earthquake and Pacific Tsunami Fund plus dinner for four at El Torito Grill or any other fine Real Mex restaurant, and lastly a $50 gift certificate to Golden Spoon Frozen Yogurt. 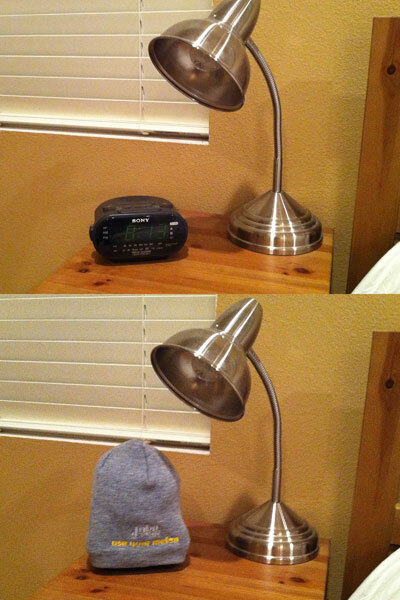 Cody Fletcher’s creative Melon Warmer idea gave us the chills! Cody has won a $50 gift certificate to Golden Spoon Frozen Yogurt. We didn’t have to think hard to realize this was a great idea! Michael has also won a $50 gift certificate to Golden Spoon Frozen Yogurt. The remaining entries will receive consolation prizes which consist of $25 and $10 Golden Spoon Frozen Yogurt gift certificates. Once again, Thank You to all who participated in our out-of-the-box challenge. Lowepro Slingshot Toploader Micro Fiber Camera Bag, $80?! ... meh, this will do. i-Pads CAN do anything! Say cheeeze! Is that a pot head? THAWING INSTRUCTIONS: 1) Place MBN Melon Warmer on package 2) Remove lid from package 3) Enjoy. "My spidey senses are tingling!… ahh this helps"
Hmm ... I think we know what you need for X-Mas. MBN can "address" all of your advertising needs. 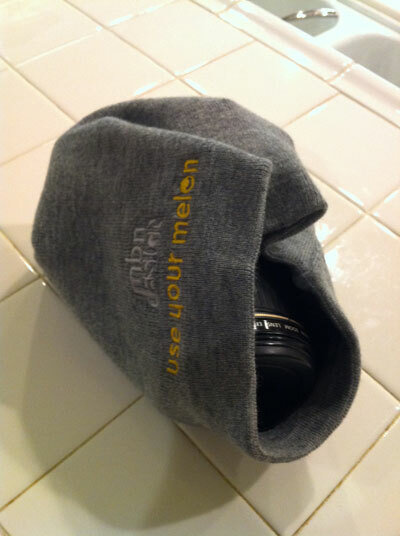 he MBN Creative Melon Warmer contest has begun!Â Find some fun, interesting, goofy or just plain off-the-wall settings, shoot a photo of you or someone else sporting your seasonally stylish Melon Warmer and send it to us! The most uncommon, unusual, extraordinary, out-of-the-box users of their Melon Warmer will have a chance to win a myriad of prizes. Plus Hundreds of $$$ worth in prizes awarded to 12 other creative melon users!